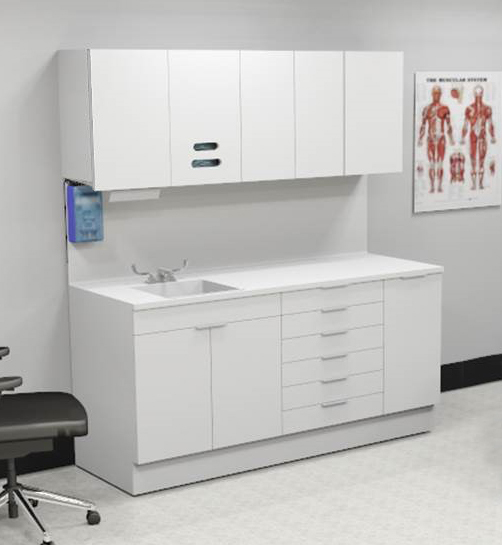 The Futrus® Hybrid Casework System is designed to be more hygienic and durable than traditional casework. 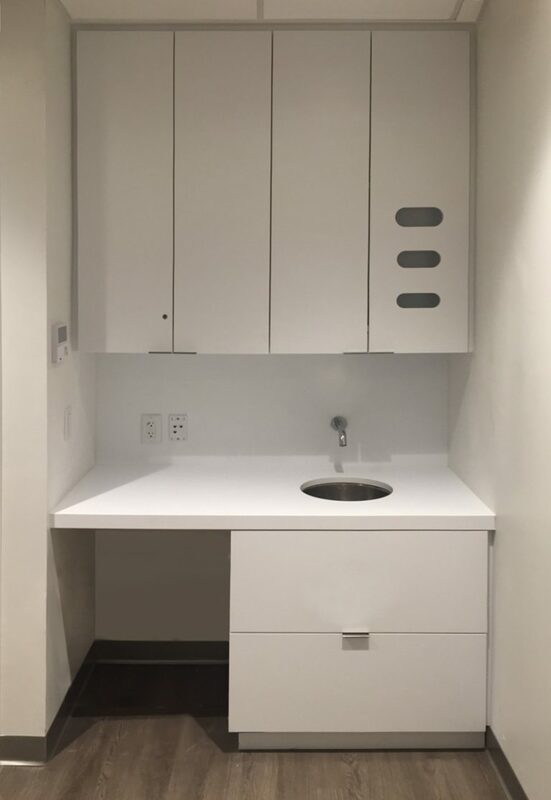 The doors, drawers and work surfaces are made from seamless, bleach cleanable Corian®, which is GREENGUARD® certiﬁed to resist microbial growth to help reduce HAIs. 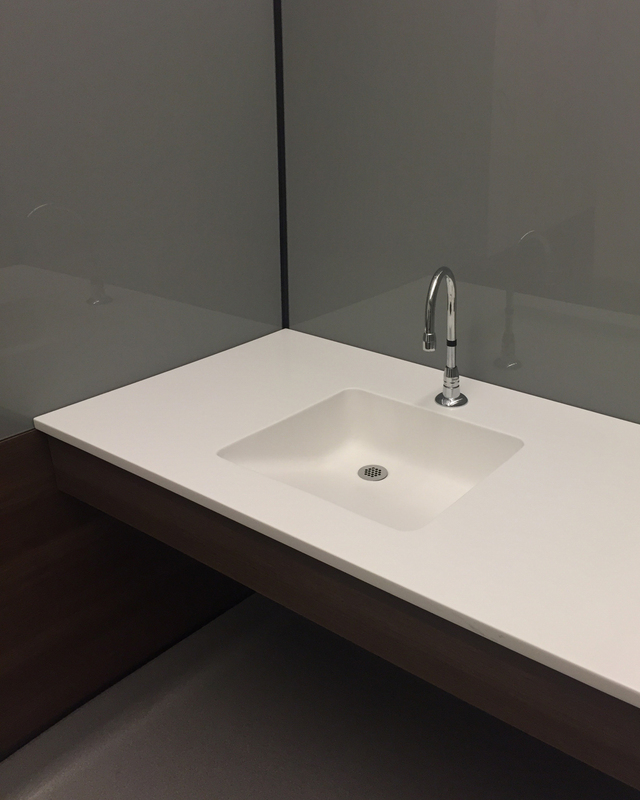 Corian® surfaces also resist chipping, peeling, scratching and staining and combine with Futrus® patented construction techniques for unrivaled durability. The thermofoil casing is also highly durable and bleach cleanable. 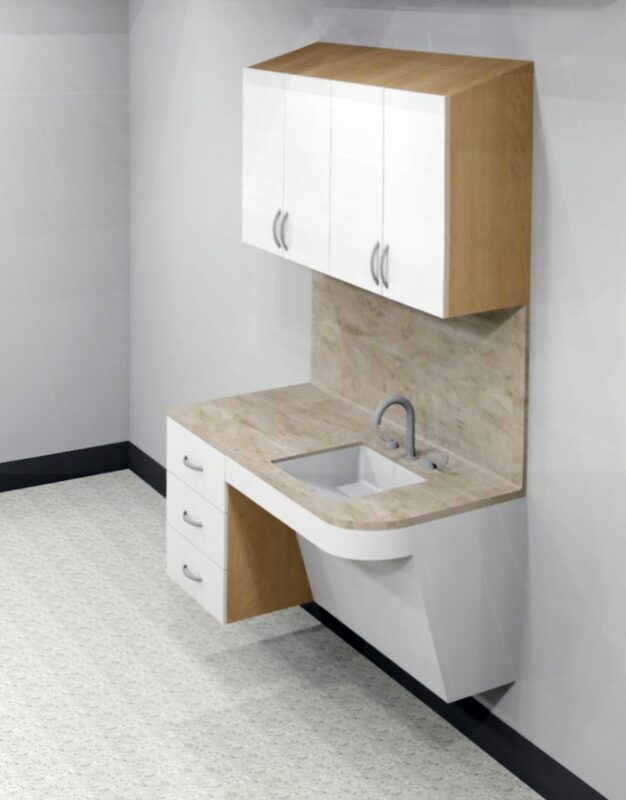 This unique, modular system is fully adaptable by size, conﬁguration color, hardware and materials to complement any space or design scheme. Features include soft close doors and drawers. Ideal for use in general patient rooms, exam rooms and long-term care.